As the researchers point out, 3D printing offers a wide range of new advantages in the medical field, and especially as it allows for patient-specific care—rather than a one-size-fits-all mentality. With 3D printed models especially, medical professionals have greater access now to tools for more detailed diagnosis and treatment options, as well as training mechanisms for medical students. 3D printed models can act as guides in the operating room, and surgeons may also use them to practice on before an intricate procedure that may never have been performed before. “The technology has seen a rapid rate of adoption in congenital cardiology, with models aiding understanding of complex anatomical structures and accurately delineating anatomical morphology to make informed management decisions,” stated the researchers. Coronary anomalies are known in one percent of the human population as congenital defects and can be extremely serious. The authors state that they are usually without obvious symptoms and tend to be discovered indirectly during coronary angiographies. “… CAAs are the second most common cause of sudden cardiac death in young athletes, for example, representing the predominant (61%) identifiable cardiac abnormality in a study looking at non-traumatic sudden deaths of young healthy military recruits,” say the authors, also pointing out that non-atherosclerotic CAAs can be found in Kawasaki disease, a systemic inflammatory condition of medium-sized vessels—and one which can be difficult to diagnose in kids, with smaller vessels and higher heart rates. CT angiography is the most prevalent, and non-invasive form of imaging used today. CT scans, in conjunction with 3D printing, has also become widely accepted and used. For the study, the researchers worked with clinicians involved in diagnosis, along with non-medically qualified cardiovascular researchers. Two cardiac radiology consultants, both with over 15 years of experience in performing cardiac CTs, chose seven cases from a database of around 2000 patients. In choosing cases to study, they examined the levels of CAA. In converting the patients CT scans to 3D printing, the researchers used Mimics software, and a Formlabs Form 2 SLA 3D printer that was on-site, using white resin for all the models. “Models were then assessed for quality by a biomedical engineer with seven years experience of 3D printing (GB) and checked for correct anatomical representation with respect to the CT scan by the cardiologist,” stated the researchers. The researchers discovered that in 126/130 cases, the models overall were found to ‘enhance awareness of coronary anatomy and abnormality,’ and nearly all participants expected the 3D printed models to be useful in their work in the future. Clinicians, in 89 percent of cases, found the models to be more effective than just evaluating a CT scan. They also foresaw the models as being helpful for junior and senior radiologists, for educating patients and their families regarding conditions, and for surgeons before procedures. Researchers had basic experience and found that while they could ‘interpret’ models well, but they were ‘slightly less enthusiastic’ than clinicians. “In 97% of cases, researchers agreed that viewing the 3D model was more effective for their understanding than just looking at the CT scan, with 17% ‘strongly agreeing’ it was more effective. Each researcher reported that in an average of 69% of cases the models enhanced their anatomical awareness, and that the course of coronary arteries was easy to follow,” stated the authors. The researchers asked for feedback said they thought the 3D medical models would be helpful for surgeons in making decisions before procedures, for clinicians as they were required to make more management-oriented decisions, and in explaining conditions to patients and their families. CT Scans and models of each case, with the blue arrows pointing to the abnormality on the CT. Case 1 (first row left 1.1–1.3): normal coronary anatomy; axial view progressing inferiorly (1.1, 1.2). Case 2 (first row right 2.1–2.3): multiple anomalous coronary arteries; axial view progressing inferiorly (2.1, 2.2). Case 3 (second row left 3.1–3.3): coronary fistula; sagittal view progressing right (3.1, 3.2). Case 4 (second row right 4.1–4.3): myocardial bridging; axial view progressing inferiorly (4.1, 4.2). Case 5 (third row left 5.1–5.3): separate left circumflex (LCX) and left anterior descending (LAD) arteries from the aorta, tetralogy of Fallot; coronal view (5.1) and axial view (5.2). Case 6 (third row right 6.1–6.3): transposition of great arteries with abnormal circumflex artery; axial view progressing inferiorly (6.1, 6.2). Case 7 (fourth row left 7.1–7.3): Kawasaki’s disease with left main stem coronary artery aneurysm; coronal view (7.1), axial view (7.2). Case 8 (fourth row right 8.1–8.3): anomalous left coronary artery from pulmonary artery; axial view progressing inferiorly (8.1, 8.2). “Future studies towards the use of 3D printing in CAAs should investigate the best purpose of use of 3D-printed models within the spectrum of CAAs, in terms of severity and classification. There may be scope for use in preoperative planning and decision-making, as well as teaching and clinical consultations. Cost–benefit should be determined before its role can be established alongside conventional imaging alternatives for investigating CAAs such as CT angiography,” concluded the researchers. Along with a wide range of 3D printed implants and devices that are now available to medical professionals around the world, 3D printed medical models are changing the face of medicine—whether doctors are diagnosing a brain tumor, performing facial reconstruction, or making a plan to improve patient care overall. Find out more about 3D printed models of coronary anomalies here. What do you think of this news? Let us know your thoughts! 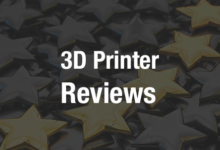 Join the discussion of this and other 3D printing topics at 3DPrintBoard.com. Detail of Kawasaki model for appreciation of coronary aneurysm (indicated by yellow arrows), two different views (A and B). Detail of ALCAPA model for appreciation of coronary ostium in the pulmonary artery (A) and course of the left coronary artery (B), as indicated by the yellow arrows. ALCAPA, anomalous left coronary artery from pulmonary artery.